Choose the most appropriate option from each question. What is the purpose of the DJIA? It is a company that invests in the stock market. It is an index of the 500 leading stocks in each industry traded in all markets. It is an index of the 30 leading stocks in each industry traded on the New York Stock Exchange. 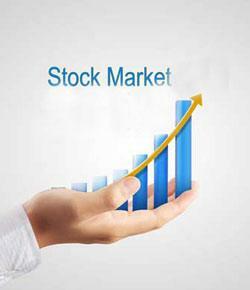 It is an index that gives general information about the performance of each stock. Name one company on the DJIA today. Name one company listed on the DJIA in 1929. In which year did a stock market crash have no effect on the overall economy? An IOU of a corporation. A piece of ownership in a corporation. Total ownership of a corporation. What type of stocks would you want to short sell? What professions are associated with financial markets?